At that time sites like Huffington post and Blogspot blogs were blocked in Nepal. I had argued at that time that the banning won’t work for some 5 different reasons (read the 5 reasons). Top 3 videos trending today are non-nepali video. So, I start from the 4th position. A web series – “Smart City” – AAjkal Ko Love Ep – 42 is trending in the 4th position in the trending list now. Who won what in Russia 2018? Top 10 Nepali music videos – Will Saili break all the records? Hemanta Rana’s song ‘Saili’ has been a record breaking song in YouTube. The song received a huge amount of views in YouTube despite of being a new channel. The song featuring the music of Kali Prasad Baskota and the lyrics written jointly by Kali Prasad Baskota and Himal Saud is released by GH Entertainment. The GH Entertainment channel only has one more video in its channel – the lyrical version of ‘Saili’. The song is about a foreign bound Nepali youth who promises to have fun after a certain age. The song dedicate to the Nepali youths who are selling their sweat in the foreign soil and love their motherland. The song features actress Menuka Pradhan with actor Gaurav Pahadi. At the time when movies haven’t been able to recover their investments and a theater play has managed to earn 15 lakh in 32 days. The play titled ‘Court Martial’ is directed by Anup Baral and the main actor of the play is the superstar of Nepali movies, Rajesh Hamal. The play also features the well known actors like Dayahang Rai, Subash Thapa and Diya Maskey. It it believed that the paly ‘Court Martial’ has created the foundation of the professional theater in Nepal. The earning of the play is a record breaking amount. Although it was the debut play of Hamal, he has proved his acting talent in it. Miss Nepal 2011, Malina Joshi, the Nepali representative to the Miss Asia Pacific World 2013 was selected one of the top 15 in the finale held in Korea on October 30. There were contestants from 50 different countries eyeing for the crown. Although Miss India Shristi Rana snatched the crown and Malina couldn’t win any runner-up titles, the selection in top 15 in itself is considered a great feat for a Nepali representative. Other beauties in the top 15 list include Miss Australia, Miss Ukraine, Miss Vietnam, Miss India, Miss Nepal, Miss Philippines, Miss Russia, Miss Trinidad & Tobago, Miss Sweden, Miss Egypt, Miss Central Africa, Miss Kazakhstan, Miss Latvia, Miss Mozambique, and Miss Mongolia. 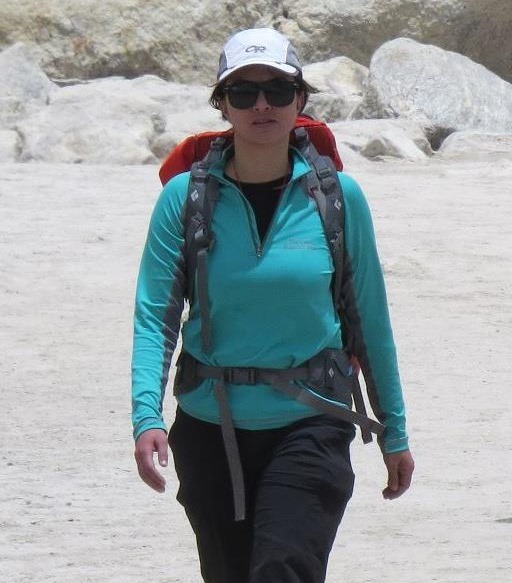 Nepali actress Nisha Adhikari, the first Nepali actress to scale Mt. Everest, arrived in Kathmandu on Friday morning. At the airport, a team of film artists and others welcomed the actress. Nisha landed in Kathmandu at 11:30 AM. There were film artists including Nawal Khadka, Laxmi Giri, Aakash Khawas, journalists to congratulate and welcome Nisha. Nisha Adhikari became the first actress to climb Mt. Everest, will government certificate matter? Actress Nisha Adhikari made a new record of becoming the first actress to climb Mt. Everest. Although the government might not be interested in giving her the credit, she has made a history. The first film artist to climb Everest, Arjun Karki, had also reached the peak a day earlier making him the first Nepali film artist on the peak. Due to excessive charge to Nepali citizen to climb the Everest, Nisha and Arjun had to register themselves as climber’s support staffs, high altitude workers. They each saved (and the government lost) about Rs. 2 million (US$ 25,000) in registration fees. Ishani Shrestha has won the Miss Nepal 2013 title after giving the best answer to the question on joint family and dis-joint family. Miss Nepal 2013 Shristi Shrestha crowned the new Miss Nepal in the event held on March 20 in Pragya Bhawan. After winning the title, Ishani will represent Nepal in Miss World 2013 beauty contest. Nepali people had a lot of hopes from Miss Nepal 2012 Shristi Shrestha but she couldn’t be selected in the top 15 list. Many fans of Shristi however are satisfied that she had managed to be ranked 21st. That in itself was a record in Nepal participation in Miss World. Shristi’s achievement in being selected as one of the top 10 in Miss World Beach Fashion contest was also a new record. The winner of Miss World Beach Fashion contest was Miss Wales. Miss China has been awarded the title. The last time Zhang Zilin was awarded the Miss World 2007. A graphic designer, Ananda Maharjan, has won the Open Movie Poster Competition for a Nepali Cinema "Chhadke". The movie producers have told that the winning poster will be used in the official promotion of ‘Chhadke‘. It is told that Ananda will also be involved in the design of other promotional materials. A team comprising of 11 mountaineers including the central committee member of Communist Party of Nepal (Maoist) Krishna KC and Chairman Prachanda’s son Prakash Dahal have headed to climb 6,000 m high Langtang mountain. This climb is in preparation of climbing the Mount Everest. pected to climb Mt. Everest in this year’s season. The Mt. Everest climbing team includes Krishna KC, Prakash Dahal, Yuvaraj Dulal, Bina Magar, Shivakumar Dangi, Mukunda Pokharel, Dinesh Shrestha, Ishu Bhatta, Madan Chudal and Maheshowr Phuyal. Our best wishes for the team for the success of Langtang ascent and their ultimate Mt. Everest climbing! A 13 year old kid selling SIM cards in eBay has grown to be the top seller in eBay. The Schoolkid trader, known as Dario Lopez, is in fact a Nepali living in UK, Sudip Gautam. The 21 year old Sudip now owns a company with 13 staffs and an annual turnover of more than £3million. Sudip has opened his first high street shop and has plans to open a chain of stores across Britain in future. BBC says, Sudip comes from Gulmi district and he started selling sim cards on eBay in 2004. These days, he sells more than 2,000 items in eBay. Our congratulation to Sudip and we wish him success in the future.